Honeywell and Rolls-Royce see steady growth in helicopter demand for the next several years. HELICOPTER MARKET ANNUAL FORECASTS BY two top engine makers paint optimistic pictures of aircraft sales in the years ahead, with the attendant import for everyone who completes, equips, maintains, and operates helicopters. Rolls-Royce and Honeywell approach analysis of the market from different perspectives and slice up the data in different ways, so it is difficult to draw direct comparisons between their data sets. Rolls considers demand for both turbine- and piston-powered aircraft, although it only makes turbines. Honeywell focuses just on the turbine-powered market. Rolls projects sales of new airframes and the engines that would power them. It parses that data by the size and value of aircraft and the engines to be acquired. Rolls also assesses the markets for new sales of civil and military aircraft. For its part, Honeywell concentrates on civil aircraft (though it does include demand for government and security-force operators). As an avionics manufacturer as well as an engine maker, it discusses factors that influence aircraft acquisition decisions. 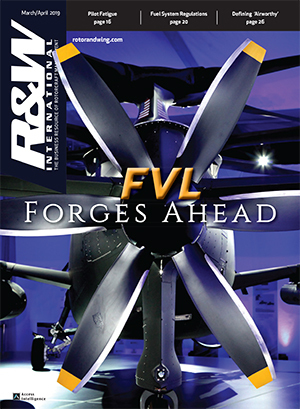 In collecting data, Rolls looks at new equipment requirements and fleet replacement or upgrade needs of civil and military operators, adding to that the forecasts of aircraft original equipment manufacturers and input from customers. Honeywell surveys customer expectations. It mixes into that consensus forecasts of the industry, OEM delivery rates, and analysis of future new helicopter introductions. As a result, Honeywell notes that its forecast "presents a snapshot of the helicopter business at a point in time and does not reflect unforeseen events, such as an unexpected economic downturn, sharp increases in fuel costs, a fuel crisis, imposition of heavy user fees, or other unfavorable regulations [or] taxes." For their differences, Rolls and Honeywell concur on important points. They each find that civil demand is being driven by the corporate, emergency medical, and police sectors. They also agree that operators’ appetites for light, single-engine turbines account for much of the demand for helicopters. They also agree that demand is up this year compared to their forecasts in 2006. Honeywell sees a 40-percent increase for its five-year forecast period, compared the five-year forecast offered last year. Rolls sees a 38-percent rise in its 10-year forecast, compared to the one offered last year. For the 2006-2015 period, it projected 10,915 turbine rotorcraft deliveries worldwide (with an associated airframe value of $95.0 billion and an installed engine value of $8.9 billion). That forecast affirmed its 2005 projections. Much of the increase in this year’s forecast over last year’s, Crislip said, is due to "a significant number of new military requirements that have surfaced over the past year, along with increased opportunities in emerging markets, such as India, Russia and China." 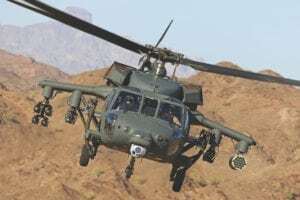 Rolls expects a total of 8,943 military helicopter deliveries and major engine-related upgrades through 2016, with an airframe value of $120.0 billion and installed engine value of $11.4 billion. About 45 percent of all units delivered, it said, will be multi-engine medium rotorcraft, primarily troop transport and maritime patrol. It expects 18 percent to be intermediate twins, such as light attack and tactical utility helicopters, and 18 percent to be single-engine aircraft such as armed reconnaissance helicopters. Rolls’ civil forecast remains stable when compared to the previous projection. 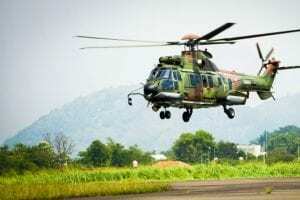 It expects a total of 6,095 civil helicopters to be delivered during the period, with an overall airframe value of $24 billion and engine value of $3.6 billion. 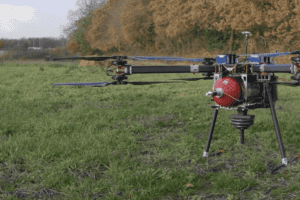 Crislip said that this stability reflects the long-term health of the civil helicopter market, with anticipated new product introduction towards the end of the decade bolstered by strong, near-term paramilitary demand from law enforcement agencies. 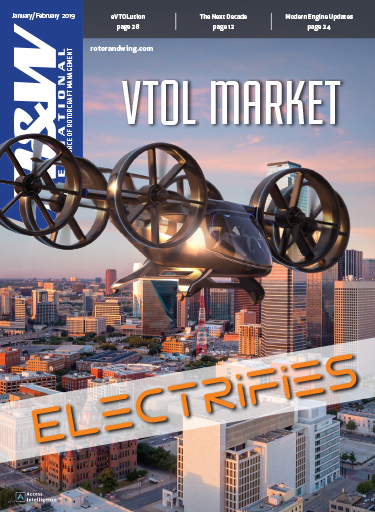 The civil market will be dominated by single-engine helicopters, he said, accounting for 41 percent of deliveries, and light twins with 40 percent. Growth is expected to be stable, from a low of 555 units this year to a peak of 689 in 2016. "The market is recognizing the increasing value and utility of the helicopter in a variety of different roles," Crislip said. Honeywell’s ninth Turbine-Powered Civil Helicopter Purchase Outlook projects deliveries of roughly 3,500 new civil helicopters through 2011, driven in part by strong demand for light single and intermediate twin-engine models offering newer technology. 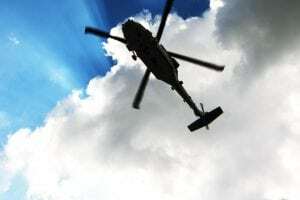 Corporate, EMS, and law enforcement helicopters combined are expected to account for more than 60 percent of all new civil rotorcraft sales during the five-year forecast period, according to Honeywell. Near-term increase in demand is supported by ongoing strong worldwide demand for corporate, EMS, law enforcement and utility helicopters. Other factors feeding the growth, the company said, include expanding African and Asian economies and continued strength in oil producing regions. Its annual survey of civil helicopter operators’ purchase expectations found that estimated civil helicopter deliveries were up 9 percent in 2006 and are expected to rise strongly this year, as helicopter manufacturers increase production to satisfy strong demand for new aircraft. Civil helicopter sales during the five-year period 2007-2011 are predicted to be up to 40 percent greater than in the five-year period 2002-2006, the survey said. Global demand could exceed 8,000 new civil helicopters during the 2007-2017 period. 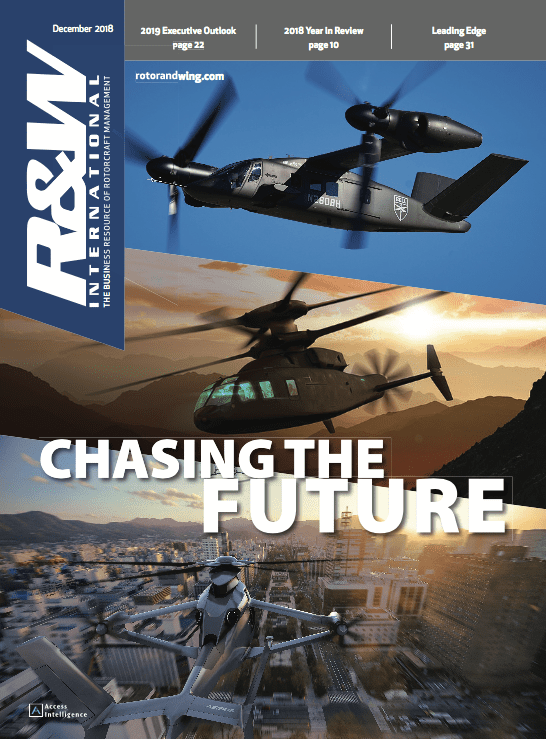 "Survey results have improved four years running, and OEMs report strong sales activity, supporting our view that helicopter demand has great long-range prospects in a growing global economy," said Vicki Panhuise, Honeywell vice president of commercial and military helicopters. "Latent demand could drive rates even higher if capacity limits are not encountered." In North America, Honeywell found, law enforcement applications exceeded all other planned use categories. Emphasis on security and police capabilities remains high. Availability of homeland defense funding at local levels contributes to the strength of this sector. EMS applications held steady at 25 percent of planned new purchases in North America, from 24 percent in the 2006 survey, it said. 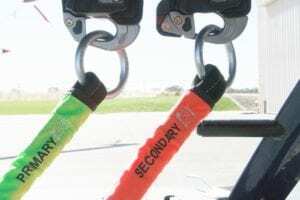 EMS uses remain the number two end-use category cited by the survey respondents for new helicopters in the region. Planned purchases for corporate use in North America fell slightly to 11 percent of the total in this year’s survey. Purchase expectations worldwide rose about 8 percent, measured on the basis of specific new helicopter purchase plans in 2007 over 2006 levels. In terms of fleet replacement and addition percent, the 2007 results were up nearly five points. Honeywell said its data shows buyers aren’t looking to move up to higher end equipment. Respondents to its survey said more than 80 percent of new purchases will go to replace older aircraft in the same size/capability and price class. Only about 11-12 percent of operators plan to trade-up to more expensive and capable machines. For the past five surveys, over half of all European purchase expectations have been for twin-engine models. This year’s findings show 53 percent of purchase plans falling in the multi-engine helicopter class. Regulations requiring twin-engine aircraft on flights over congested areas and other use limitations continue to shape the preferences of the European operators. Nonetheless single-engine models were nearly as strong for the second year in a row at 47 percent of expected purchases compared to an average of around 30 percent prior to 2006. In North America, where there are no current or pending regulations requiring twin-engine aircraft, 70 percent of planned purchases are for single-engine aircraft. In Latin America, 57 percent of planned purchases are for single-engine models. In both regions this share has remained relatively stable in recent years. Operator preferences in Asia, The Middle East, Africa and Oceania strongly favor twin-engine machines with a 65-75 percent share in the 2007 survey. North America is expected to account for 42 percent of planned future purchases, a similar share to last year’s outlook. More than 70 percent of new-aircraft purchases in this region are expected to be light singles, and no regulatory activity is on the horizon that would likely change this. What did potential buyers say they were most interested in? According to Honeywell, better avionics capabilities, improved operating costs, lower aircraft age, and greater performance, payload, cabin volume, and engine power were the most frequently mentioned factors in decisions to acquire new aircraft. The survey shows an improvement in European purchase expectations, recovering to nearly 20 percent fleet replacement or expansion in 2007, compared to more than 15 percent in 2006. On the basis of the equivalent percentage of fleet to be replaced or expanded, Asia, Oceania, Africa, Middle East together have maintained consistently high purchase expectations for the last five years. Operators in these regions expect to purchase new helicopters equal to 36 – 37 percent of their current fleets during the next five years for replacement and fleet addition. This compares to 20 percent in Europe, 22 percent in North America and 30 percent in Latin America. Over the next five years, Honeywell estimates that up to 22 percent of total world new helicopter sales will be to customers in the Asia/Pacific, Africa and Middle East regions. About 65 – 75 percent of future demand in these regions is expected to be for multi-engine craft, it said. In Asia and the Pacific, close to 30 percent of expected purchases will be for corporate applications, Honeywell said, closely followed by oil exploration and support at 24 percent. Utility and law enforcement trail at 18 and 16 percent respectively.